The vinyl Comeback took everyone in the music industry by surprise. While investment was being pushed towards digital downloads a new/old trend was returning. What began in record shops and in an underground music scene gradually seeped into mainstream music. More and more people began buying vinyl records. With renewed enthusiasm, those who'd bought records the first time round started bringing their old collections downstairs. 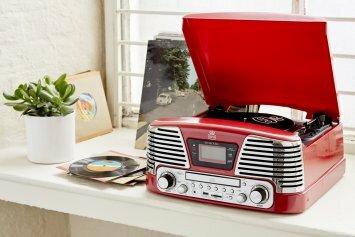 The need for a vinyl player was born. 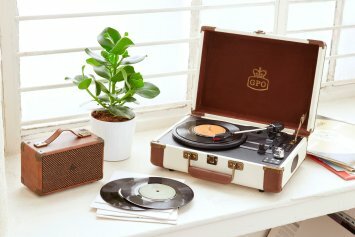 When GPO released our first vinyl player, the Stylo, it was designed as a back to basics and affordable vinyl player. 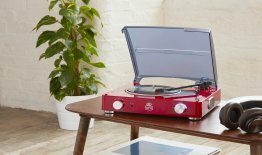 Since then we've released a wide range of vinyl players, from the suitcase styled Attache to the Bermuda, vinyl players designed for a variety of styles and music tastes. But where did the Comeback come from? Technically speaking, digital downloads are easier to collect and to store, they don't take up much space on your shelves like a record collection does, after all. And with vinyl you can't leave it to play for hours, having it playing in the background while you get on with your day. Perhaps that's one of the factors. Vinyl needs the music fan to be active. You have to stand up and turn the record over, to put the needle in place. 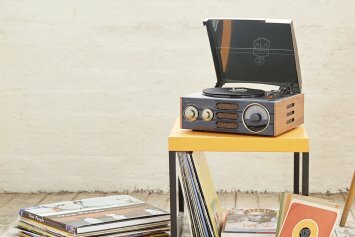 It is an active listening experience, one that is added to with the vinyl album artwork that music fans would sit, read and ingest while the music plays. It's also tangible. Your digital collection doesn't give you much to show your friends, unless you hand them your Spotify login or your MP3 player. 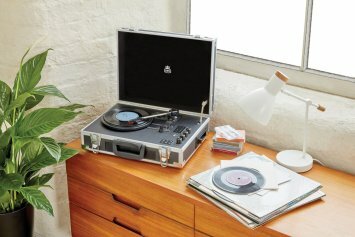 Instead a record collection is something you can hold and flick through. It tells people something about your music taste and what you enjoy. Buying vinyl is a lifestyle. Those who spend a lot of time in record shops know that hunting down that specific record is part of the fun. It's a chase and it's satisfying to find the exact right record and release you're looking for. Inevitably, it's sound that vinyl fans come back to time and time again. Records have a satisfying crackle and a warm sound Vinyl tracks aren't compressed in the same way a digital download is so it could be that that gives it a richer sound. Spending more time buying those vinyl records means that turning to vinyl vinyl players was the next logical step. Ensuring they are both stylish and affordable is an important part of what we do at GPO. It's a big deal for us to offer vinyl players than even the youngest music fans can afford to buy and enjoy their vinyl records. 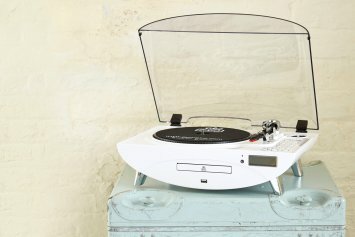 It makes it much easier for people to feel like they're part of the vinyl Comeback.